Dartmouth North Public Library is now home to what the head of Halifax's library system calls the first outdoor library space in Canada, and one of only a handful of similar examples in the world. "Dartmouth North is blazing a trail," said Asa Kachan, the chief librarian of Halifax Public Libraries. "I have colleagues across the entire country watching this project very closely." The exterior wall of the building has been replaced with glass sliding doors that look out onto a deck and a new playground. Books and deck furniture will be moved to the outdoor space in the spring, as soon as the weather allows it. The bookshelves will be mobile so staff can shift them back indoors during poor weather. 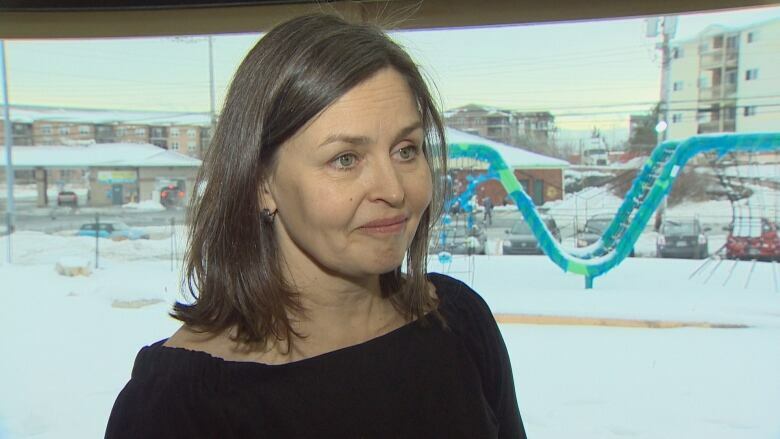 The renovations were paid for with a $500,000 grant from TD Bank's Friends of the Environment Canada 150 program, and a matching grant from the Atlantic Canada Opportunities Agency. Library officials say the outdoor space will be used in a variety of ways, from outdoor storytelling to family movie nights. "It just gives us room to stretch out, it invites people to linger and connect to their neighbours," said Kachan. "It's a community where most people are in apartments, so we're imagining this to be their back garden." A second phase of renovations is planned for the interior of the branch later in 2018. 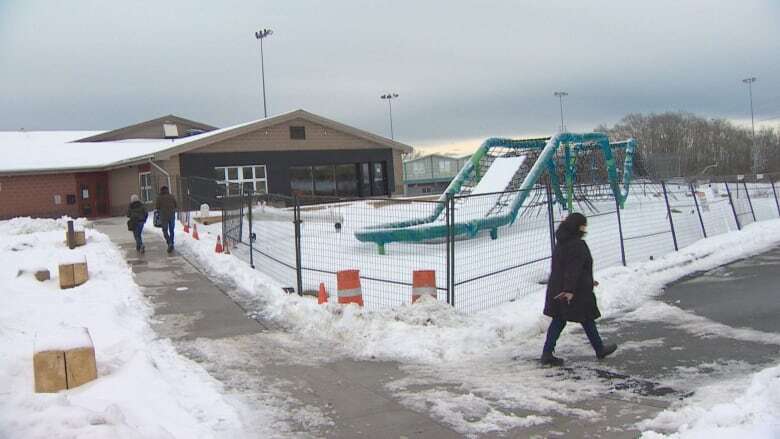 The improvements will be done jointly with the Halifax Regional Municipality's recreation department, which operates the community centre where the library is located. Library and recreation officials hope to spend another million dollars on improvements. They say it's too early to talk about the details of the work, but point to the changes made to the Musquodoboit Harbour library branch, and an adjacent community centre, where walls were torn down to create a more inviting and integrated space.